Sophie Hannah says Julia Crouch is 'brilliant' and Erin Kelly calls her 'one of the best writers in a strong field'. 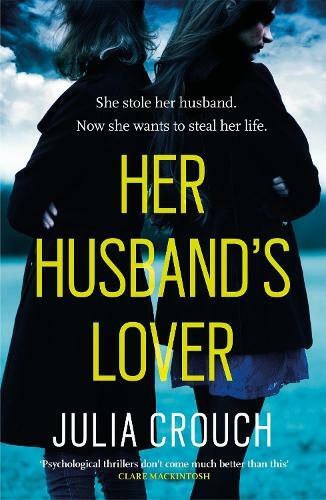 A woman has to stop her husband's lover from ruining her life in this stunning psychological thriller, HER HUSBAND'S LOVER, from the acclaimed Julia Crouch. Sam said that she would never get away from him. That he would hound her until she died if she tried to leave. Louisa never thought that he would want to harm their children though. And now Sophie is determined to take all that Louisa has left. She wants to destroy her reputation and to take what she thinks is owed her - the life she would have had if Sam had lived. Her husband's lover wants to take her life. The only question is will Louisa let her? I bought my own paperback.